‘Racers Driven to Win’ is not just our slogan, it’s the philosophy of our work. 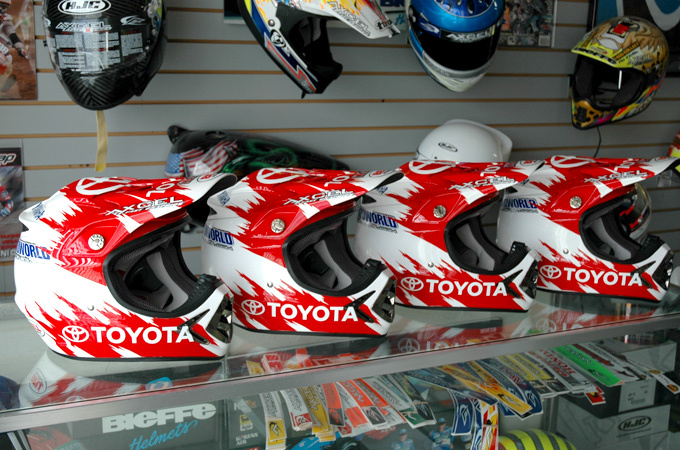 It is with this very mentality that Axcel Fast Graphics creates custom painted helmets for some of the most dedicated racers in virtually every form of motorsport known to man. For nearly two decades now, Axcel Fast Graphics have been called upon to create eye catching designs for such racers as 5 time 500cc World Champion of Motocross: Roger Decoster, 3 time FIM World Champion and National Champion: Greg Albertyn, Indy Lights Champion and Indy 500 competitor: Townsend Bell, along with racer Mike Alessi, Mike LaRocco, Zach Osborne, Scott Dixon, Grant Langston, Alexander Rossi and companies such as Red Bull, Toyota, Mercedes Benz, BMW, Rock Racing, Rock & Republic, Yamaha, Kawasaki, Suzuki, and many, many more. 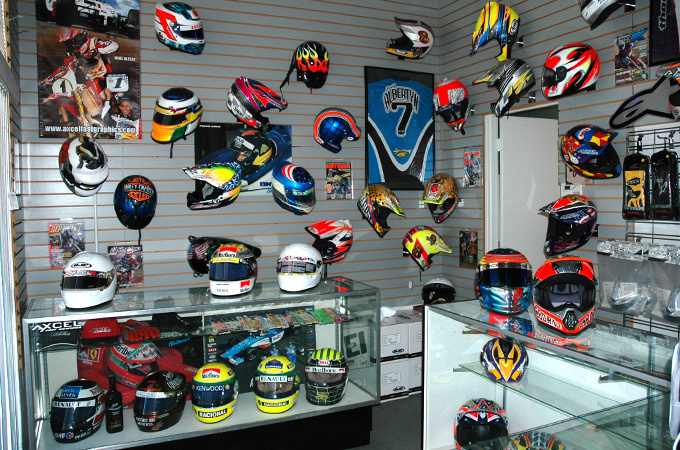 Axcel Fast Graphics is located in Southern California, one of the racing capitals of the world. 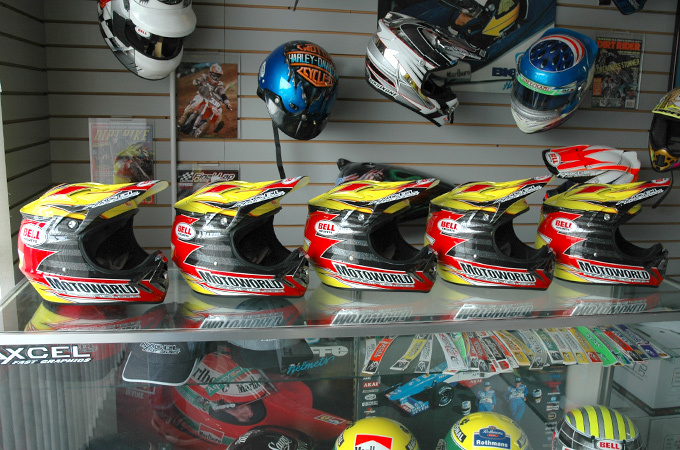 The company was founded by veteran racer and motorsports enthusiast, Alex Paglia. Over the years, it has grown to include several young and talented artists – each with the same passion for racing. Together they comprise a talented group of artists with a focus on creativity and precision. 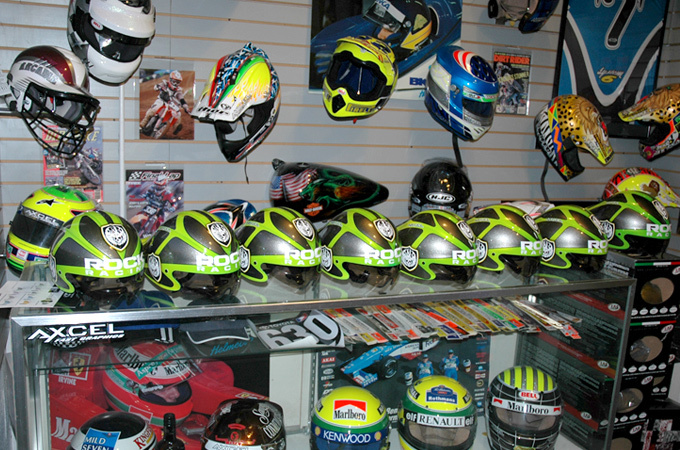 Our Friendly staff of artists work with each individual racer to create a unique design he or she can be proud of. We pride ourselves on being able to provide the exact look our customers are after, within a reasonable amount of time. Whether extreme or subtle, mild or wild, we’ve painted it all and can do the same for you. Our attention to detail is second to none. The quality of our custom work is superior to other painters and our durability is unrivaled by anyone.